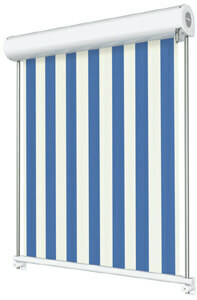 A strong guide, providing a great atmosphere: the vertical blind with stable stainless steel rods.What do you prefer? This is the markilux for everyone, equipped with a stainless steel guide rod in place of a cable guide.Totally logical. 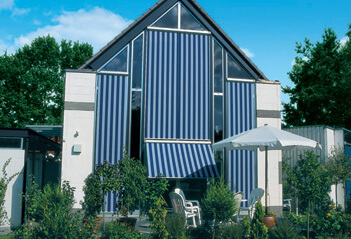 Typically markilux. This supports your markilux and is particularly stable. 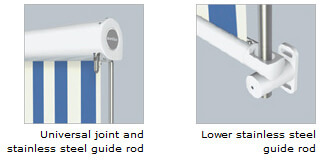 The end-to-end profile ensures a light and individual mounting to a wall or ceiling.